Close to two hundred protesters waited for Xi in Los Angeles on Feb. 16 and 17, the largest protests during his five-day visit to the U.S. Tibetans chanted slogans denouncing human rights abuses by Chinese officials in Tibet, while Falun Gong practitioners held a continuous 30-hour vigil near the JW Marriot on Olympic Blvd. where Xi was staying. 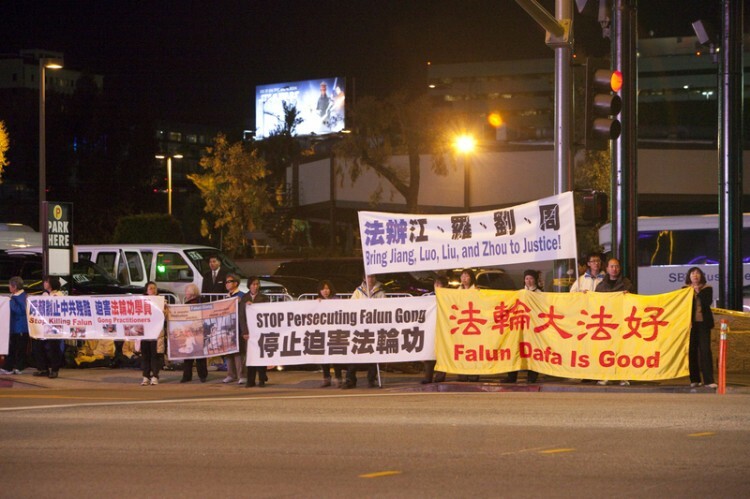 Dr. Jason Lu, an Assistant Project Scientist at UC San Diego, and a Falun Gong practitioner, joined the protesters in Los Angeles on Friday. “During the daytime, we meditated and held banners. 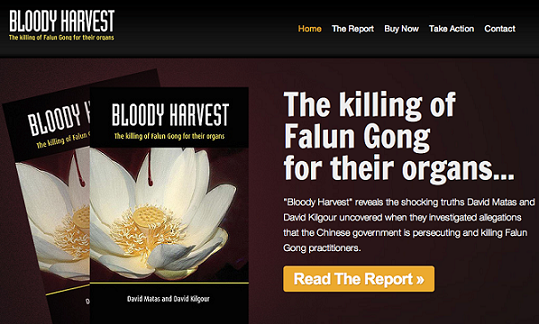 We tried to send Xi and his people a message to stop the persecution of Falun Gong practitioners in China,” he said. A “welcoming” group of Chinese students arranged by the Chinese Consulate also arrived. 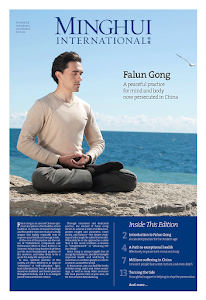 Some of them took the opportunity to get to know the Falun Gong practitioners. They told The Epoch Times that they were paid $200 a day, or $600 for three days, by the Chinese Consulate. 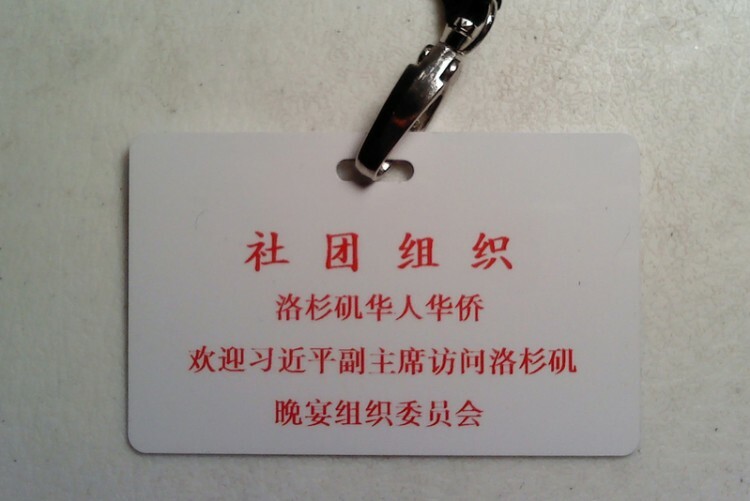 Their “welcome” badge was also their free banquet pass, they said. 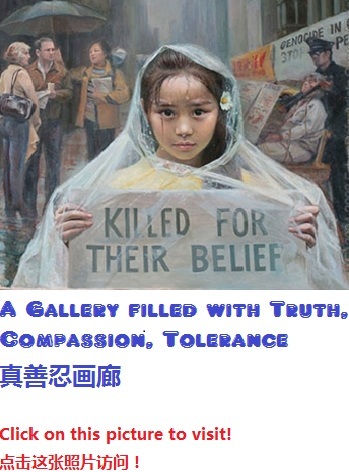 It appeared that the Consulate also sent along a chaperone to watch over the students, a woman in her 40s, who identified herself as “their teacher,” and tried to discourage students from interacting with the Falun Gong practitioners. But none of the students paid any attention, saying they didn’t know her. About a dozen of the students decided to quit from the Chinese Communist Party (CCP) or its affiliated youth organizations on the spot, signing their names on quitting forms. Afterwards some also refused the free food provided by the Consulate. One student, sharing his thoughts about the recent events in Chongqing, said he didn’t want to return to China, as whatever one wants to accomplish there has high risks attached to it. “If you do business, you might be cheated. If you are in politics, it’s even more dangerous, because you may get killed, just like Wen Qiang [the former head of Chongqing’s Judicial Bureau] was killed by Wang Lijun [the chief of police who fled to the U.S. Consulate]. Or you might fall out of favor after being used, just like what happened to Wang Lijun,” the student said. “I do not plan to go back anyway, please help me quit from the Communist Youth League,” he added. Not all of the people with red flags were that cooperative, but the overall result of the protest was very good, Lu said, and they were even able to explain the facts about the persecution to the police. “At the beginning, some Chinese people with red flags tried to stand in front of us and use their flags to block our banners, but the police forced them to stay inside a certain area,” he said. Chinese officials traveling overseas generally take great pains trying to avoid being caught on camera passing by groups of banner-wielding, slogan-chanting protesters. They are known for sneaking into meeting halls through back doors, taking last-minute alternate travel routes, or hiding out in airport waiting rooms for hours. Xi’s last day in Los Angeles included an NBA game at the Staple Center on Feb. 17. About 15 minutes before the game ended, Xi and his bodyguards left the stadium. Falun Gong practitioners were waiting for him in the parking lot with a large banner that said “Falun Dafa,” another name for the spiritual group. “The Staple Center is just two blocks away from the JW Marriot. We stayed until 10 pm when Xi left for the LA airport,” Lu said. 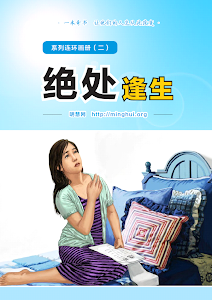 It also said, “Falun Gong practitioners are the largest group of prisoners of conscience in the world, numbering in the hundreds of thousands at any given time,” and “an average of once every three days, a new case of a Falun Gong practitioner dying from torture and abuse is reported. 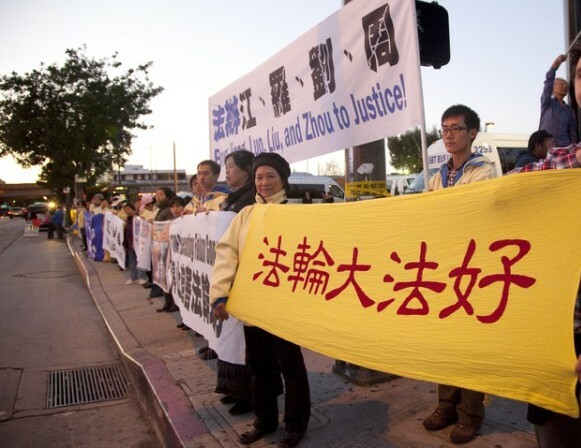 Falun Gong practitioners have filed over one hundred lawsuits in different countries against a number of high-level Chinese officials, including Bo Xilai, for their involvement in the persecution.